Recently the red velvet cake has gained much popularity and it has become the first choice of cake for many people, even for anniversaries and weddings. You can now send beautiful red velvet cake Jaipur to the people you love by ordering it from Gift Jaipur. 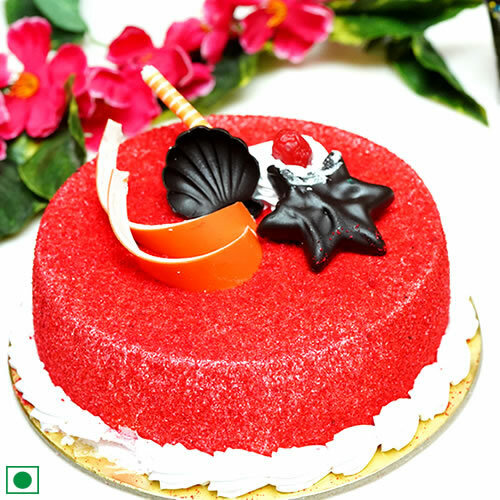 When you buy a cake from us, we ensure that it reaches you in good condition. All you have to do is order cake from our website and you will get cake delivery as soon as possible. You can choose from a variety of designs for the cake online. Eggless cake is our specialty at Gift Jaipur.